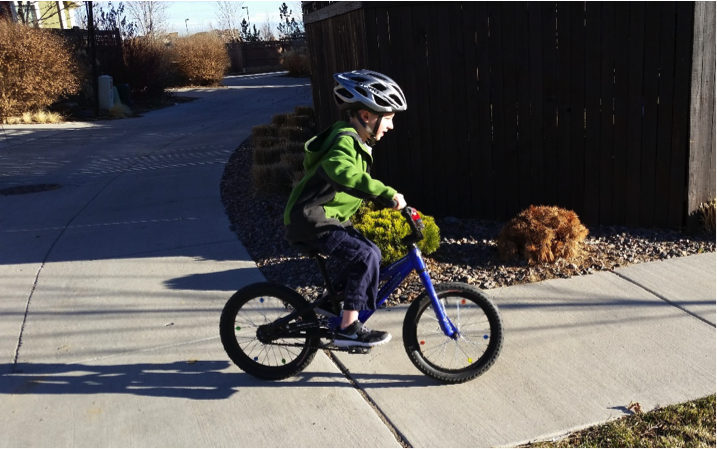 Kids should always wear a helmet when they are bicycling. It is hard to question that statement, and in many places, it is the law (even in a few places without mandatory motorcycle helmet laws). A funny thing happens when some people wear a helmet; they ride faster and more recklessly. Why? The helmet makes them feel safer, and the risk of getting hurt subconsciously fades away. Thus, they behave differently. Changing one’s behavior due to a change in perceived safety risk is called risk compensation. But who is really safer: a reckless rider with a helmet or a careful rider without one? Risk compensation is ubiquitous. You see it in sports like football and hockey where additional protective equipment facilitates bigger hits. You also see it in race car driving, which is a notoriously dangerous sport. So much so that the sport has gone to great lengths to improve safety with better helmets, seat belts, roll cages, fire retardant uniforms, and softwall technology. All of these efforts have reduced the chance of a fatality when a crash occurs. Yet, the research shows that as the casualty rate drops, the number of crashes increases. Drivers can push the limits of their race car to an even greater extent because they feel safer knowing that the risk of death or severe injury is relatively low. In terms of road safety for the rest of us, the outcomes are not all that different. For most of the last fifty years, the conventional approach to improving safety focused on: vehicle improvements such as seat belts, air bags, and crumple zones; and road designs that were wide and straighter with increased sight distances and clear zones. This safety paradigm emanated from the U.S. Congressional road safety hearings of the 1960s. The new mindset focused on engineering measures – such as better vehicle and street designs – that were far easier to influence that the behavior of millions of drivers. While some of these efforts did in fact improve road safety, this was not always the case. Many of the so-called safer road designs, for instance, did not fulfill their promise. If behaviors remained constant, the underlying theory would have been successful. Unfortunately, a driver feeling safe on the road can profoundly impact behavior. Whether the driver is more likely to speed, divert their attention from the road by talking on the phone or listening to music, or even fall asleep at the wheel, the research suggests that many such road safety improvements actually decreased overall safety. The problem is risk compensation. It’s the same reason you now rely on your vehicle’s back-up camera instead looking over your shoulder and using the camera to enhance the information you used to gather manually. For transportation engineers and planners, the line between safe and unsafe is not always very clear. To have a chance for clarity, we need to better account for risk compensation – and the impact of the resulting behavior changes – in our designs. Adams, J. (1995). Risk. London England Bristol, PA: UCL Press. Dumbaugh, E. (2005). “Safe Streets, Livable Streets.” Journal of the American Planning Association 71 (3):16p. Nader, R. (1965). Unsafe at any speed; the designed-in dangers of the American automobile. New York,: Grossman. Noland, R. (2000). “Traffic Fatalities and Injuries: Are Reductions the Result of ‘Improvements’ in Highway Design Standards?” Transportation Research Board 80th Annual Meeting, Washington, D.C.
Potter, J. (2011). Estimating the Offsetting Effects of Driver Behavior in Response to Safety Regulation: The Case of Formula One Racing. Journal of Quantitative Analysis in Sports. 7(3), 1-20. Vanderbilt, T. (2008). Traffic: why we drive the way we do (and what it says about us). New York: Alfred A. Knopf. Weingroff, R. (2003). Highway History: President Dwight D. Eisenhower and the Federal Role in Highway Safety. Washington, D.C.: Federal Highway Administration.